When people think of the ancient Maya they generally think about pyramids, or calendars (which did not actually predict the end of the world in 2012!). They don’t typically think about soils. But the ancient Maya provide us with an excellent opportunity to study how tropical deforestation over long periods of time affects soil carbon reservoirs. What they tell us is that long-term deforestation causes soils to lose their ability to store old carbon, and that this ability is not easily regained when forests return. Soils aren’t as glamorous as pyramids, but they are a hugely important part of the global carbon cycle. Soils contain more than twice as much carbon as the atmosphere, and depending on how they respond to environmental change can be an important source or sink of atmospheric greenhouse gases. Despite this, we have a very limited understanding of how soil carbon reservoirs respond to environmental changes, like deforestation, on time scales longer than a decade. This is where the ancient Maya come in. 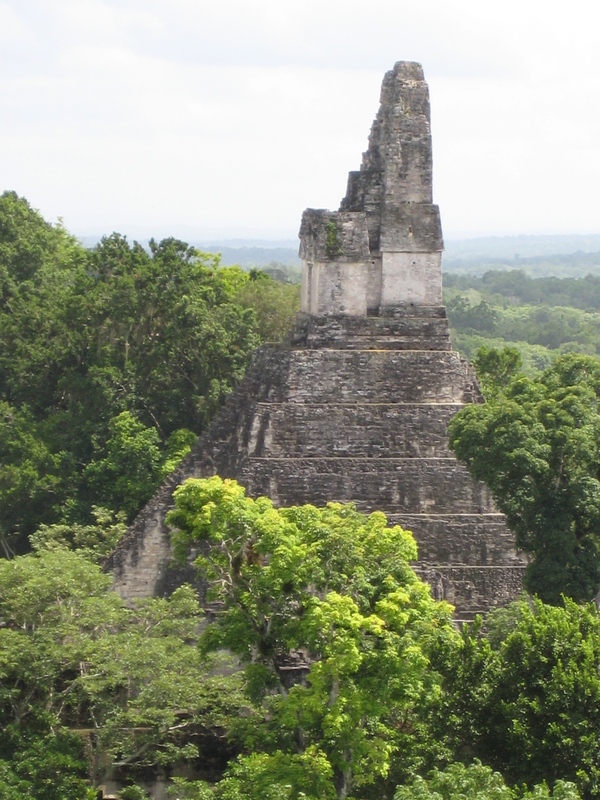 In addition to building a highly developed urban civilization across southeastern Mexico and northern Central America from 4000 to 1200 years ago, the Maya also cut down much of the region’s forest. Then they experienced a major population decline around 800 C.E. and the forest grew back. This long-term cycle of deforestation and reforestation offers one of our best opportunities to look at how tropical forest soils respond to environmental disturbance over long time periods. However, it is difficult to analyze changes in soil carbon storage by studying soils directly, since almost all of the soils in this region have been altered by millennia of land use. 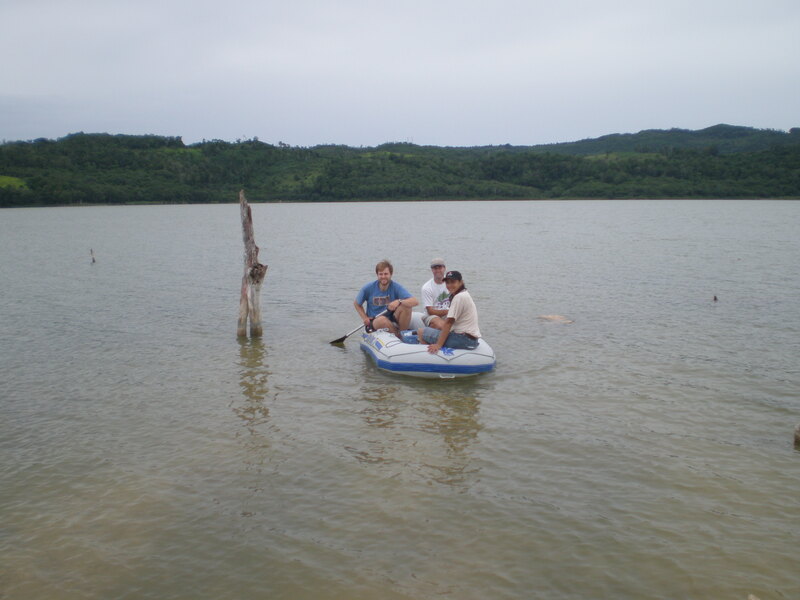 So in this project we used one of the best archives of long-term environmental change, lake sediments. In this case we analyzed the radiocarbon content of waxy lipids that form on the surface of plant leaves, are then stored in soils for hundreds to thousands of years, and are eventually washed into and preserved in lake sediments. These plant waxes tend to stick to the surface of minerals in soils, and therefore are one of the longest lasting components of soil carbon. By radiocarbon dating plant waxes, and comparing their age with the age of the sediments in which we find them, we can derive an estimate of how long soils stored carbon at different points in time. This is a relatively new approach to studying changes in soil carbon reservoirs, and in this case it was born of frustration. Early in my Ph.D. I was trying to use the measurement of hydrogen isotopes in the same plant wax molecules as a marker for past climate change affecting the ancient Maya. However, my hydrogen isotope data didn’t look anything like other paleoclimate datasets from the region, and I couldn’t figure out why. As I tried to solve this problem, I learned about innovative analyses of radiocarbon in plant waxes developed by my co-author Tim Eglinton (then at the Woods Hole Oceanographic Institution). So I went to Woods Hole to try this technique, and indeed the plant waxes in my sediment samples were hundreds of years older than expected based on the age of the sediments. Accounting for this led the hydrogen isotope records to make much more sense, and ultimately they provided new insights into the severity and spatial extent of droughts impacting the Ancient Maya. At the same time, I noted that the age difference between the plant waxes and the sediments varied widely different layers of sediment, and began thinking about why that might be. We decided to repeat this analysis in two more lake sediment cores from different parts of the Maya Lowlands. Comparing the data from the three lakes we observed a consistent pattern: the age difference between plant waxes and sediments declined substantially over the past 4000 years. Overall, our results imply that soil carbon is being stored for much shorter periods of time in this region than it was 4000 years ago (by 70-90%), and that the main cause of this change was ancient Maya deforestation. What is especially remarkable is that in most other respects the forest ecosystem in the Maya Lowlands appears to have recovered very quickly once Maya populations declined, and much of the region is covered in thick tropical forest today. But in terms of soil carbon storage these ecosystems never returned to their pre-deforestation state, even 1200 years later. While similar studies are needed from other tropical forests, this suggests that current tropical deforestation could also have very long-lasting impacts on soil carbon reservoirs. A bittersweet aspect of this publication is that my Ph.D. supervisor, Mark Pagani (Yale University), who was a constant source of ideas for this research, passed away in 2016 and wasn’t able to see it in print. Mark was a very supportive supervisor. As I was finishing my Ph.D. I realized that the dataset needed more soil samples to be complete, but I was preoccupied with writing my dissertation and taking care of my newborn son. 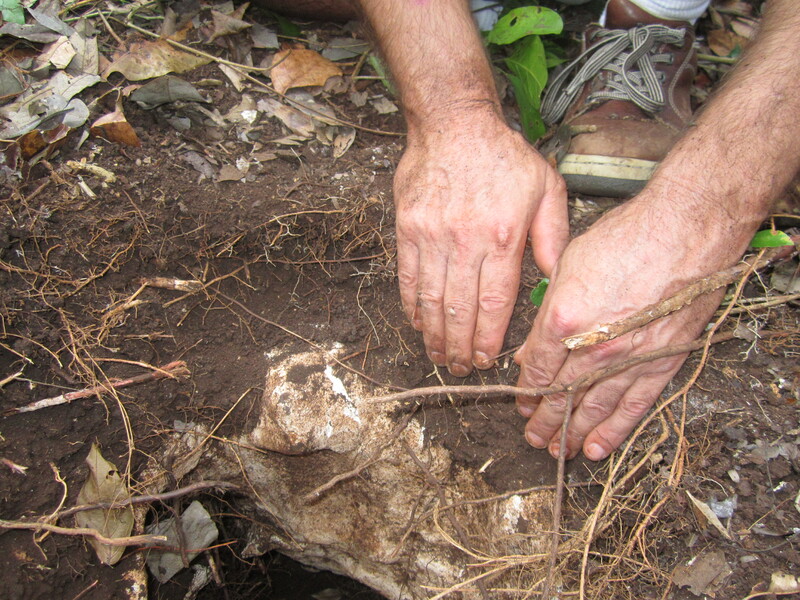 Mark was going to Cancún on vacation, and offered to spend two days collecting soil samples for me. I think Mark highly enjoyed driving off into the Yucatan interior to dig up soils, although I’m not sure his family was so thrilled. 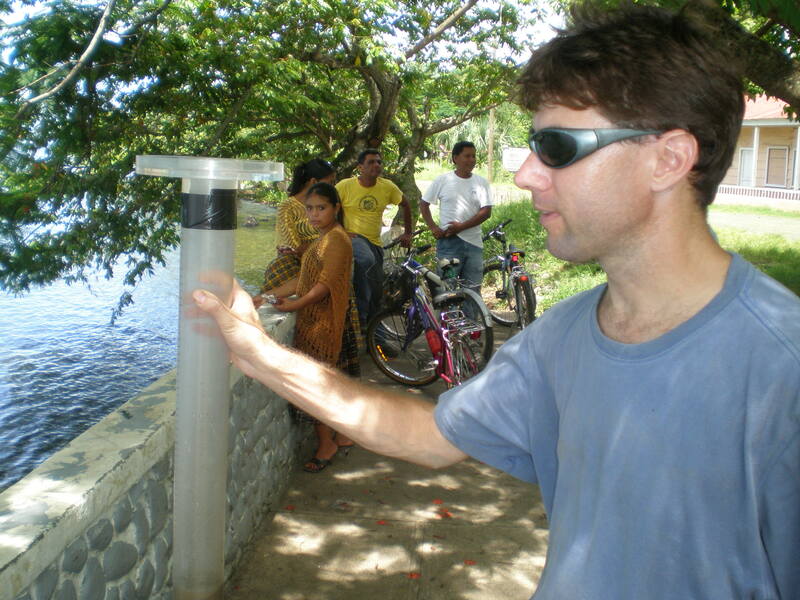 I really miss Mark and I hope this paper is one of many lasting tributes to him as a scientist and a supervisor. Our paper in Nature Geoscience can be found here. Tropical forests are being deforested at an alarming rate for agricultural use and pastureland, but fortunately they can regrow naturally after agricultural fields are abandoned. Over time, the vegetation gradually builds up (called “succession”), leading to changes in environmental conditions at the forest floor. Because species differ in their growing strategies, these changes in environmental conditions lead to shifts in species composition over time. However, so far we have a poor understanding of forest succession across broad spatial scales. 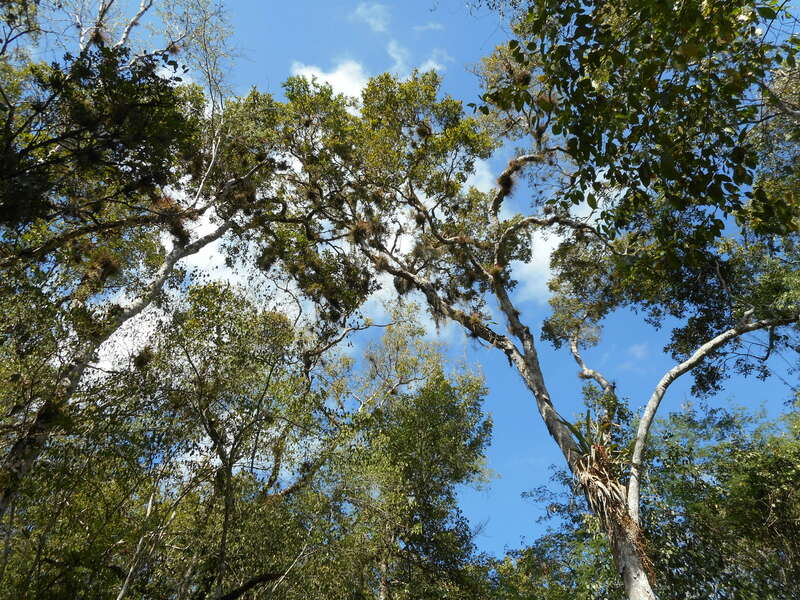 This study presents a large collaboration effort of the 2ndFOR research network (www.2ndFOR.org) that assesses forest succession across Latin America.